JUNK Will never buy Samsung product again. Problems that is all I had since I bought this 8 months after bought motor went flooded my floor. Then broke again flooded my floor of course this time not under warranty. Here we ago again 3rd flood not repairing this time I will buy new washer but definitely not Samsung. They knew there was a problem and did not recall. I love this new wash machine, many different options! It even sings to you when the wash it done! Child lock is awesome! 2 Cons You can not prefill water which means you can not dump the soap in the water! Very loud I hear loud bangs when starting the machine. I purchased this washer almost a year ago. Ever since then I have been absolutely in love with it. I set the temp, load size and start and have nothing to worry with. Even at the end of the wash time it plays a little melody to let me know it's finished. Never had an issue with it with any loads I've washed. 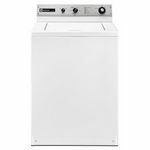 I have used it for heavy duty cleaning a few times and I must say the bedding and clothing come out so clean I was amazed. 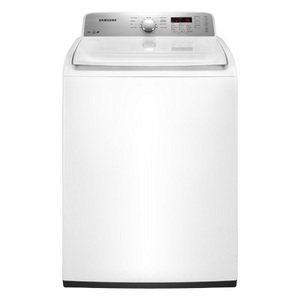 We bought the Samsung WA400 Washing machine and have had nothing but problems. The recall, the wiring harness, Thermistor, and now the mother board is bad. For paying 600+$ originally and now all the repair costs etc. THIS IS THE WORST PRODUCT WE HAVE EVER OWNED!!! Terrible product with limited parts available and limited warranty service. After 4 years, it broke down yet again. Forget the awful phone service, and Customer Care could not care less. They seriously do not care. The matching dryer is poo, too. Stay away. 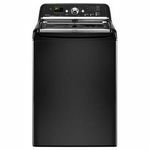 This was the first Samsung washer that I had ever bought and was glad I did. 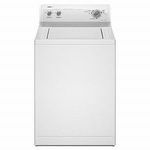 I is a great washer for large, small and even giant loads with the large capacity tub. The spin cycle was so strong that it id take long for the dryer to finish drying the clothes. 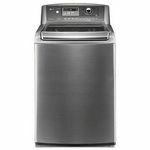 All in all the Samsung washer in a great product and if I am around when this one tears up completely i'll buy another Samsung. We bought this washer in January 2013. Recently is starting spinning off balance and faulting out the washer. After some research, I found that there was a Service Bulletin (released by Samsung) in December of 2012 and another one in May of 2013 concerning the damper rods that support the tub and the pump relocation (mine was already relocated from the tub to the base). The rods were determined to be too weak for the tub. I called customer service numerous times. All I would get is "it is out of warranty". I ended up replacing the damper springs myself ($130 for 4). That fixed my issue. Bottom line is that Samsung knew that their machine was defective and continued to sell them anyway. THAT is why I will no longer purchase Samsung appliances. I recommend that you do the same. 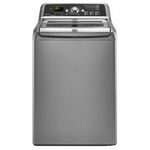 I own the Samsung top load WA400 washer and constantly get the code DC to redestribute clothes. it does not work. It continuously runs the rinse spin cycle and fills the tub with water. It is a lemon for sure, and I am writing Samsung and the retailers that carry this model requesting that they recall it so that no one else falls prey to purchasing this poorly designed model. One more thing, the WA400 has the motor tucked underneath the drum at the bottom of the washer. Who does that? Think about it. If the drum is constantly agitating, won't the motor eventually fall off? The answer is yes. Mine did two months after purchase. Again, this machine is a lemon and should be recalled by the manufacturer. I purchased this machine in March 2014 and today is July 2016. The cost was approximately $900 without required drains and hoses.